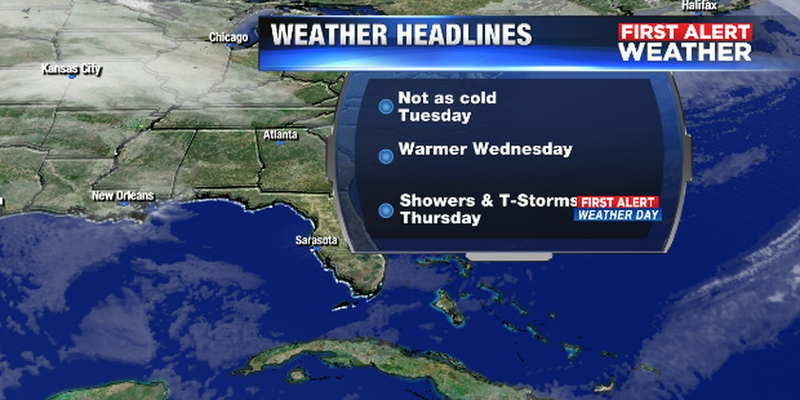 SARASOTA (WWSB) - Not as cold of a start for the Suncoast on Tuesday but it will still be cool. Lows will be in the upper 40s to low 50s some 6-10 degrees warmer than Monday. There will be plenty of sunshine with a nice warm-up by the afternoon. Temperatures will be warming to the low 70s near the coast and mid 70s inland. If you like warm weather then Wednesday will be your day as highs will be in the upper 70s to even low 80s well inland. This will be it however as a cold front will drive through the area on Thursday. This cold front will bring showers and an isolated thunderstorm Thursday morning. It doesn’t look like we will see anything too strong with this front but we could see some moderate to heavy rainfall at times through midday Thursday. 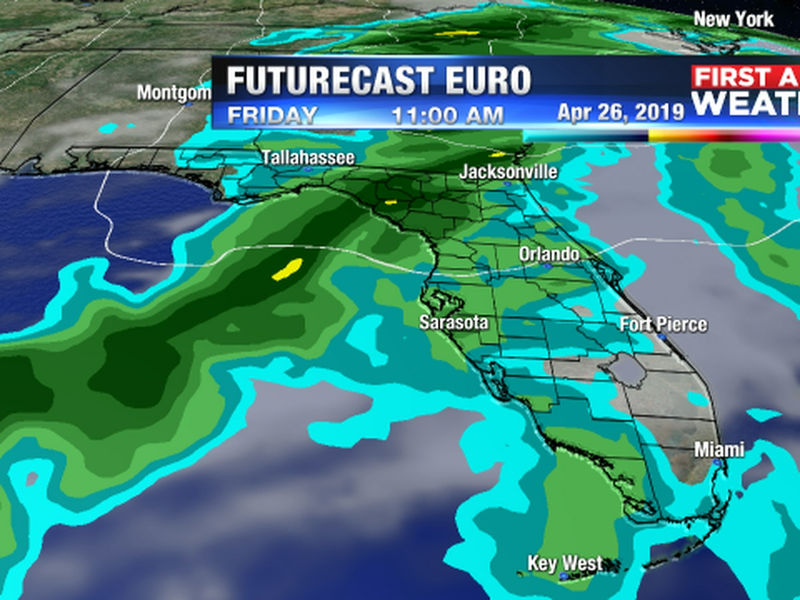 This cold front will bring chilly weather back to the Suncoast and a First Alert Weather day for disruptive weather mainly in the morning hours for the entire area. The European forecast model is showing a rather strong low developing in the Gulf over the weekend and is suggesting another round of some heavy rain on Sunday. 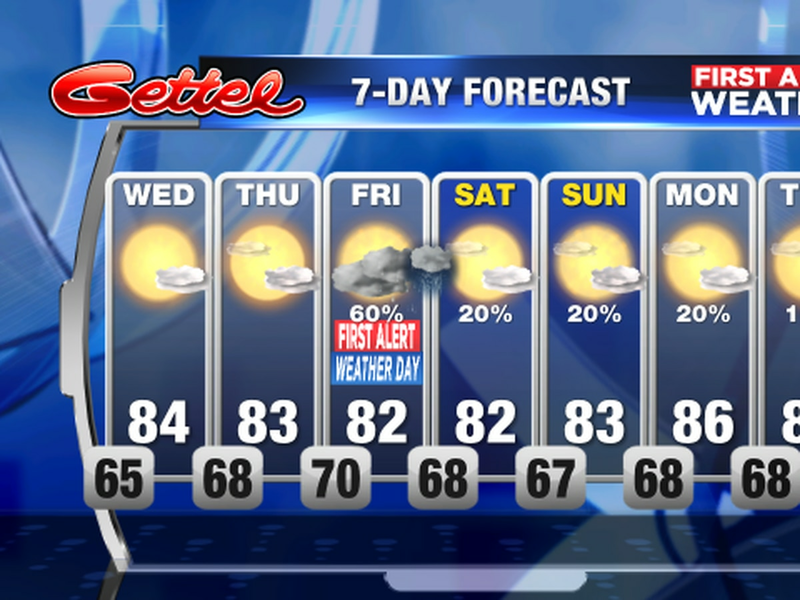 This too may become another First Alert weather day for Sunday.